What is the best blog platform? A popular question asked by most, if not all new bloggers. And so you should, it’s an important question to ask BEFORE you make a decision, because the platform you choose will determine what you can and cannot do with your new blog. 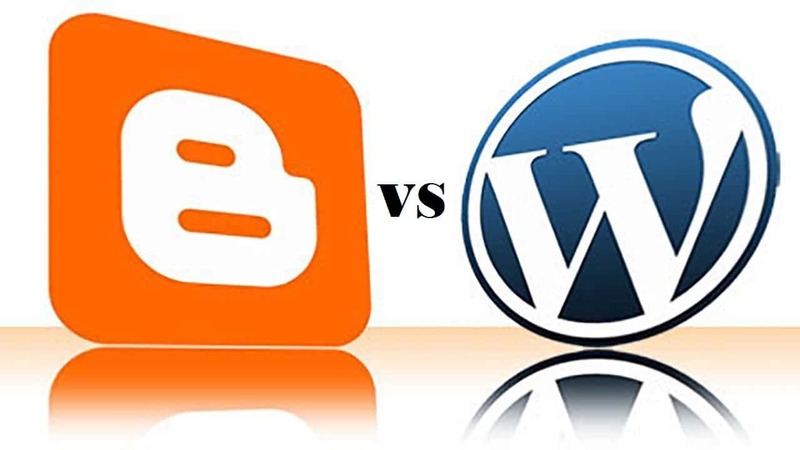 So, I thought it was time to compare the two and let you know the winner in this essay (well worth the read) with an honest review of WordPress vs Blogger. Personally, I’ve always used WordPress since the moment I was introduced to the self-hosted software at WordPress.org and I just love the flexibility that comes with it. And just a few weeks later my site and all the content on it was deleted with no prior warning or any kind of explanation. 1.2.1 Patience never was my strong point! When you use WordPress.com you are limited to their terms of service and they have the right to terminate your site at any time. If you’re a casual blogger the terms of service probably won’t affect you in any way, but if you’re a small business owner this means you won’t be able to promote offers on your site. You may get away with one or two affiliate links, any more than that and your site will be deleted. And just to be totally transparent self-hosted simply means that you host the blog yourself on a domain name that you own and on a server you are paying for. So why am I doing this comparison if I’ve always used WordPress? Well, just yesterday I came across a few articles when doing some research for my next blog post and they all claimed that using a Blogger blog on a custom domain is much easier for beginners and more beneficial in regards to search engine rankings because Google owns Blogger, so I decided to review blogger and find out if these bold claims were true or not. But before I share my findings with you take a look at the embedded Facebook thread below from my personal profile and be sure to read the comments made by other bloggers I know. In the articles I read during my research phase they all claimed that you simply purchase your desired domain name from Google (Google owns Blogger) and then the redirect was taken care of for you, with an estimated time of 12 to 24 hours before your site was live and visible online, but that’s not how it works anymore Blogger no longer offers this service. Instead, you have to purchase your domain name from a third party and then set up the redirect yourself using the advanced setting inside your blogger account, not an easy task I can tell ya! I was asked to add two DNS CHAMES to complete the verification of my domain name and this is something I’ve never done before in over 3 years of working online. All in all, it took me a good two hours of sheer frustration unsuccessfully trying set up the redirect. I was just about to give up when I noticed a tiny line of text telling me to click here if I was struggling with the DNS CHAMES. I clicked the link and it took me straight to my Gmail account, I wasn’t sure why but I logged in anyway and within 1 second my account was successfully verified (LOL). Why on earth wasn’t I just asked to verify my domain via email in the first place with a simple line of text clearly saying click here to verify by email? Totally ironic, I’m sure you’ll agree? If I had this much trouble getting the site up on a custom domain, a beginner is really going to struggle. Oh, and it now takes between 24 and 48 hours before your site is live and visible on the internet. Also, just because your blogger blog is on a custom domain, you still have to abide by THEIR terms of service because the site is hosted on THEIR server. And if Blogger thinks your site looks spammy for any reason they have the rights to remove your site with no prior warning. Again, this won’t affect you too much if you’re a casual blogger, but for the small business owner that’s going to be a problem, without a doubt. I totally understand that for some people working with WordPress seems like a steep learning curve, but if you do a search on Google you’ll find a ton of FREE video tutorials showing you how to use WordPress step by step. Gees, I could barely use my PC when I started my first self hosted WordPress blog and it was only a few hours before I was publishing content. First up, I have a confession to make. It’s now been 36 hours since I redirected my Blogger blog to my custom domain name and my blog still remains offline. So, I’ve created a second site inside my Blogger account without a custom domain, because I want to get inside the member dashboard and take a look around so I can finish this comparison for you. Patience never was my strong point! For the casual blogger, the themes that come with your Blogger blog should be perfectly fine and from what I can see simple tasks such as changing the color of your blog background, uploading images, changing the blog themes, or the size, font and color of your text is easy enough for any beginner . But for the small business owner, there’s not a lot of themes to choose from, so it’s very likely that your site will look like a copy of a copy. 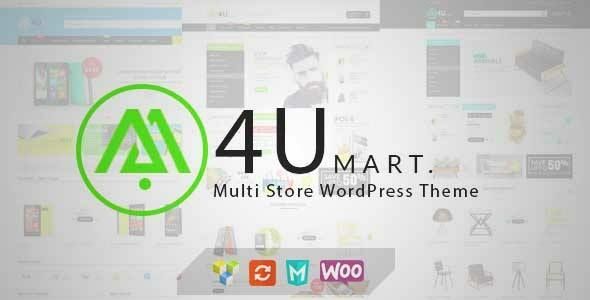 And, Blogger lacks many important plugins that can improve the functionality of your site, unlike WordPress who have a plugin for almost everything you could possibly imagine. You have no control over the CSS code, so if you want to customize your blog to match your business brand the only option available is to have a professional do it for you. And again, I know that most bloggers struggle when it comes to editing and tweaking CSS code, but it’s nice to have a choice in the first place. With WordPress, you have complete control over the look, feel and functionality of your blog. There’s a HUGE range of free and premium themes to choose from. In fact, premium themes such as Genesis or Woo make it even easier for you to make your site stand out and look totally unique, even if you have no coding skills whatsoever. In my opinion, WordPress is the best blog platform for beginners casual or professional bloggers. I had a LOT of trouble setting my Blogger blog up on my custom domain compared to WordPress. Hope you Like my article, if you have any question about this topic. please comment me. 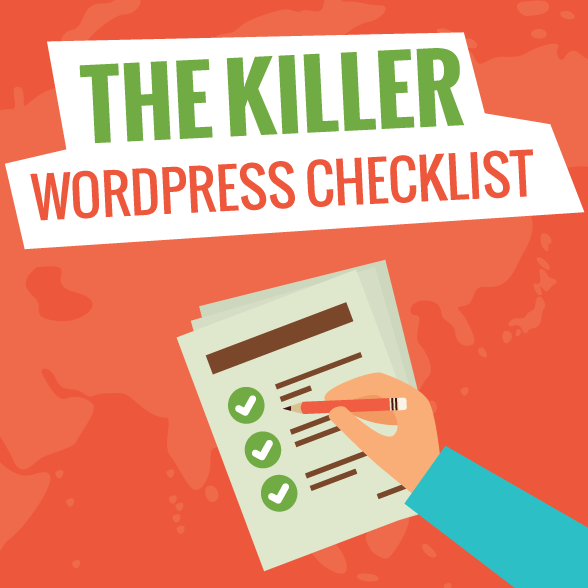 Killer WordPress Checklist: 101+ Easy Steps to Launch your Next Website! How to Install WordPress Quickly in Your Website?